The AV world is set to be overrun with web-enabled devices in 2010, with Blu-ray looking to be vital to creating a connected home. This is according to a study by Brit-based firm IMS Research, who found that by 2015, more than 473 million homes will have internet-connected devices in their living rooms – such as games consoles, set-top boxes and connected TV sets. But the biggest growth will initially be in the Blu-ray sector, where web-enabled Blu-ray players are set to top 28 million units in 2011. Speaking about the findings, Rebecca Kurlak, analyst with IMS Research, said: "With nearly all Blu-ray players manufactured with IP connectivity enabling access to video-on-demand streaming libraries like Netflix, Amazon, Vudu, and CinemaNow, Blu-ray players are more compelling for purchase consideration than they have been since their market debut. 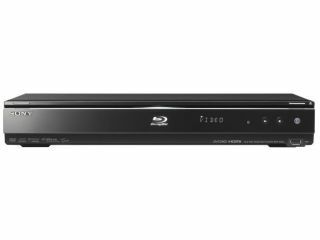 "With the Blu-ray Disc Association releasing the Blu-ray 3D specification a month ago, and the continued decline in the device category's average selling price, [we expect] consumers to welcome Blu-ray players into their homes." If CES 2010 is anything to go by, BD players will face some stiff competition from web-enabled TVs. The likes of Panasonic and LG are pushing the web capabilities of their TV sets, with new applications like Skype becoming accessible through your television without the need of a PC.